Cater to not only the huge populace within the Savvy Swaraaj Township but also the localities of Jagatpur and Gota. High Street is well positioned at the heart of the bustling neighbourhood in Phase 01 at Savvy Swaraaj - Sports Living Township on the 100 Feet Road. It is set to become one of the most desirable shopping destination which will have access to over 25000 families in a single location with the most modern infrastructure and well planned roads. 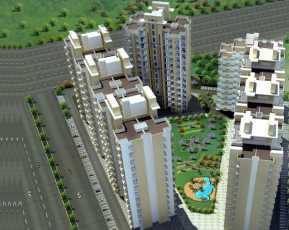 The upcoming population density in a single location will be higher even than Prahladnagar or Gurukul. Shops on the Ground, First & Second Floor 100 Feet Road Facing. All shops are placed overlooking the Main Road providing excellent visibility. 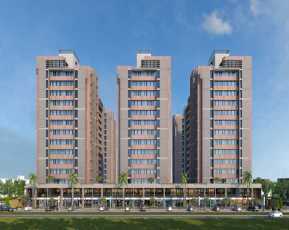 Savvy Swaraaj : Luxury Residential project in Ahmedabad! India's renowned urban planner and architect, Kapadia Associates have designed a magnificent new project called Savvy Swaraaj, in Ahmadabad. The project is designed to give residents a fit and healthy life, as well as become the ultimate shopping destination! Spread over acres of prime land in sports city, Savvy Swaraaj S G Highway have beautiful spaces designed to give optimum balance of life, fitness and rejuvenation. The project is designed with amazing landscaping by renowned landscape designers from Singapore, Site tectonics that give a unique flavour and freshness to the complex. Designed to give luxury living with all modern comforts, Savvy Swaraaj, Ahmadabad has 80% open space with landscape gardens and play grounds. The complex has retail spaces from 425 sq. ft. to 730 sq. ft. which is designed to become the ultimate shopping destination for residents and tourists in Ahmedabad. The external amenities of the complex are simply amazing with fully equipped club house, 24 x 7 securities, gymnasium, an Olympic size swimming pool, jogging track, cricket pitch, and much more! Savvy Swaraaj is one of India's best sports academy’s and offers world-class professional coaching, latest sports infrastructure, sports lounge, as well as a number of recreational facilities for sports enthusiasts. The modern complex will have a High Street that is designed as a shopping and entertainment destination. The entertainment and shopping complex is meant for residents of Savvy Swaraaj Township, as well as surrounding localities of Jagatpur and Gota. 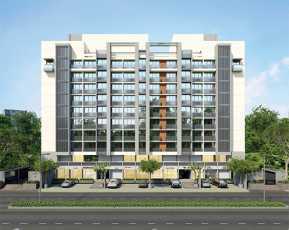 The High Street is located in Phase 01 at Savvy Swaraaj - Sports Living Township on a 100 feet road. The area is designed as a fashion street and is one of the most desirable shopping destinations. The complex will have the latest infrastructure and well-planned roads. Strategically located in on S. G. Road at Jagatpur, North-West of the Ahmadabad, the area is one of the fastest growing corridors of the city. It is well-connected to other parts of the city via major arterial roads and railways. The complex is in close proximity to major educational institutes, medical facilities, and commercial recreational establishments. 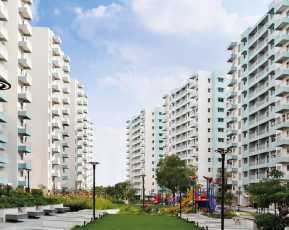 Savvy Swaraj is one of the most sought after Property in Ahmadabad. 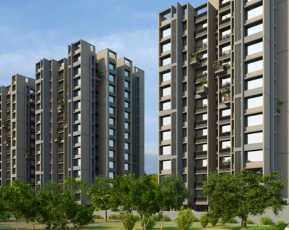 Starting at Rs 37.51 lakhs, Savvy Swaraj price is extremely affordable for investors. So hurry and book your innovative retail spaces now!